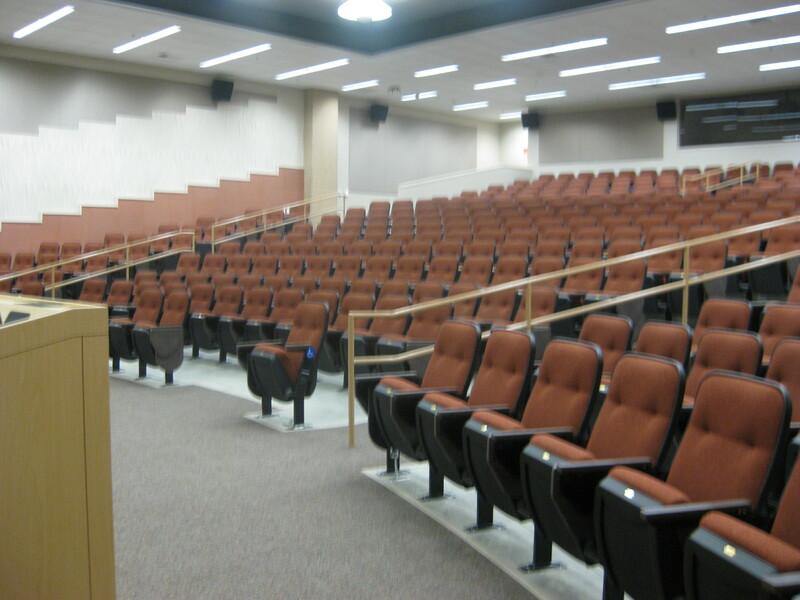 This is a new stadium-style lecture hall that seats 332. It's just downstairs from the EH2430 colloquia room (where registration is held). For technology, it's got it all, including HDMI & VGA inputs, three projectors, a podium gooseneck microphone, a wireless lapel microphone, and a handheld wireless microphone for recording audience questions. Very few power outlets in the seating area.